A callus is a build-up of skin that gets thicker in order to protect the area it covers. There are no nerves or blood supply, so, in and of themselves, they are not usually painful. Calluses occur where there is friction against the skin. It is not unusual to have some calluses on the bottoms of the feet. Calluses on the bottom of the forefoot or heel are due to an uneven distribution of weight. Friction and stress cause the skin to thicken. External causes of calluses include shoes or socks that do not fit properly; going barefoot; and movement that causes or increases friction or stress against the skin. Internal causes of calluses include skeletal deformities, bony protrusions, or impaired foot biomechanics. A callus may or may not be painful. However, it may burn or throb. The thick layers of dead skin may be white or yellow. There may be cracks in the skin. Some symptoms are more severe and are characteristic of those who have diabetes, poor circulation, or neuropathy. They include fever, drainage, change in color of the toes, signs of gangrene, an increase in pain and swelling, and spreading or streaking redness around the callus. Medical attention is needed immediately for these symptoms. Observation is the normal means of diagnosing calluses. In some circumstances, Dr. Burmeister may use a scalpel to show the layers of the skin growth. This is to make certain that it is actually a callus and not a wart. An x-ray may be taken to look at bones under the skin that might be causing the callus. Further diagnosis may involve a biopsy. Treatment after the diagnosis varies from at-home measures to surgery. Most calluses disappear over time when the friction or stress stops. At-home care includes protecting the callus with a pad until it heals, soaking the feet, using a pumice stone to rub off dead skin, applying moisturizing creams, wearing shoes and socks, and not going barefoot. Dr. Burmeister may help the healing process by shaving the top of a callus in order to reduce thickness. He may also prescribe stronger creams to apply to the callus. If an infection is apparent, treatment may include an incision and drainage along with antibiotics. If Dr. Burmeister feels that the callus is due to gait or abnormal foot structure, orthotics or corrective surgery may be recommended. Calluses can be prevented by taking simple measures. Wear shoes that fit properly. Shop for shoes when the feet are most swollen, at the end of the day. Avoid shoes with high heels and pointed toes. Help keep the feet dry by using foot powder. 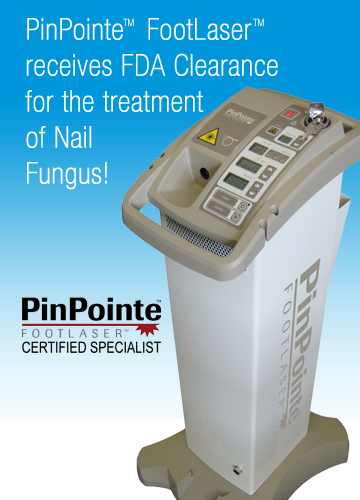 If you experience a menacing foot callus, Dr. Jeffrey Burmeister, DPM, and his experienced staff are ready to fully diagnose, treat, and see you on your way to pain-free living.